Welcome to the RXA Healing Retreat! We are delighted you’ve decided to attend. We will be immersed in a very powerful, loving, and nourishing Qifield. We’ll all be learning and practicing Yuan Gong and Ren Xue together, as well as immersing ourselves in a healing atmosphere. 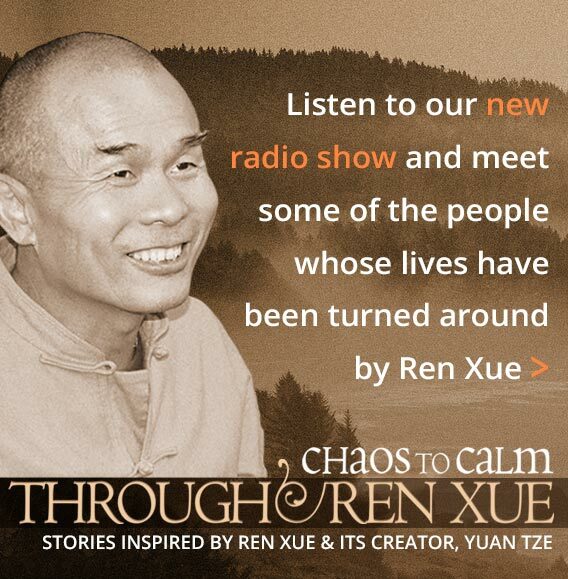 Ren Xue sees life as a totality, so our approach addresses healing the whole of one’s life. An important element of that is using Yuan Gong and Ren Xue to deal with our problems on all levels, including the physical, Qi, and consciousness levels. Our goal is to facilitate this process to go as deeply as possible. Please see the section on Retreat Elements for more details about the different aspects of our retreats. I’ve been on all of the Qigong retreats run by Yuan Tze and Melissa. The experience just keeps getting better and better, and the horizons of our learning keep on expanding. 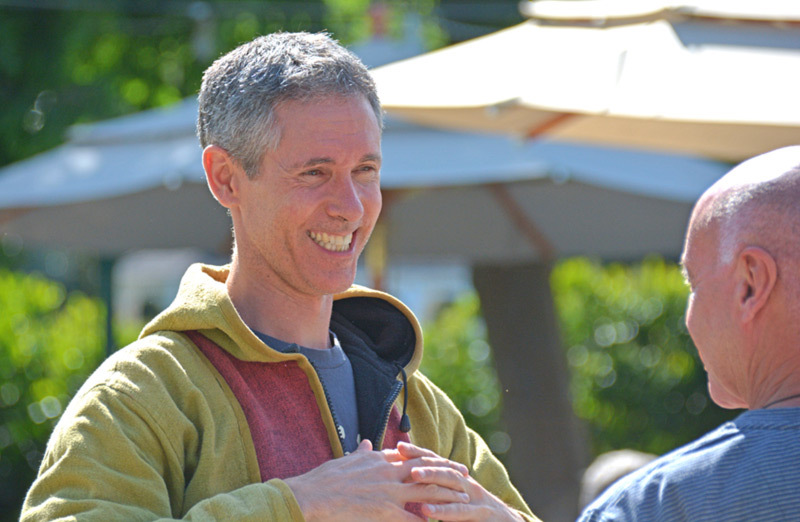 We learn and practice in a fantastic qi field created by Yuan Tze that has to be experienced to be believed – it is such a rich and bountiful source of unspoken information (“heart to heart” learning) and safe, positive, supportive energy. I unreservedly recommend these retreats for anyone even remotely interested in Qigong. ‘Success occurs when opportunity meets preparation.’ If you have decided to participate in this retreat you may have some expectations. What can we do to turn our expectations into reality? The following will help you prepare and get yourself ready. Think about what you would like to achieve at this stage of your life in order to move your life forward. Think about what you would like to achieve at this retreat. Read Wellbeing Begins with You: to get more out of your learning at the retreat, we recommend reading this book. Click here for more book info and to buy books (Kindle or paper versions). You may even start to experience change in your life and your consciousness as you immerse yourself in the reading. This foundation is very important for your continual growth beyond the retreat. People have reported gaining a lot of insight and benefit from reading Yuan Tze’s books. Learn & Practice Yuan Gong: Yuan Gong methods will be taught at the retreat. However, learning and practicing in advance will mean you can reap the benefits of the retreat practice immediately. This will help you build up a Qi foundation for the healing and work on life we do at the retreat. Click here to see a list of qualified Qigong teachers in North America. Practice Ren Xue: if you have been learning and using Ren Xue to work on your life, keep up your effort, especially in working on the patterns of the consciousness. This will help you make breakthroughs at the retreat in dealing with your problems. We are looking forward to spending two weeks with you in our powerful Qifield this season and working together on our health, happiness, well-being and self-realization, and towards the goal of ‘uplifting ourselves and helping others’ (Zi Du, Du Ren). Yuan Gong has powerful healing effects and the Qifield at our retreats is very strong. Frequently, an improved Qi condition will automatically result in unhealthy Qi and information in the body being smoothly transformed and normalized, with consequent improvement in health. However sometimes, if the amount and flow of Qi improves rapidly, the old Qi and information may temporarily become active before it is completely transformed. This can cause experiences referred to as “Qi reactions. These may manifest as symptoms on a physical, mental, and/or emotional level. Qi reactions are not a cause for concern. It is important to understand that they are a normal part of healing and that they actually signify positive change. When dealing with Qi reactions, one should recognize them as temporary experiences and try to stay calm, relaxed and positive. It’s helpful to continue to do as much Qigong practice as possible in order to transform the old Qi and information more quickly. You can read more about Qi reactions in Chapter 6 of Yuan Tze’s book Wellbeing Begins With You. "By changing my patterns I have become calmer and more relaxed, joyful, and more efficient. As I use Ren Xue to work on my life in a comprehensive way, my qigong practice becomes more effective." March 31 for the first week. April 4 for the second week. First day dinner: 5:30 p.m. to 7p.m. For people driving to Wonder Valley, there is an excellent Whole Foods Market in Fresno at 650 West Shaw Avenue, Fresno, CA 93704; 559-241-0300. You can also bring your own picnic lunch. The grounds are beautiful and there are plenty of places to relax in nature. If you want to eat lunch at Wonder Valley, they will have a buffet lunch available from 12 noon-1:30 p.m. The cost is $18 and can be paid at the front desk. Note: The five activity sessions are dedicated to learning Ren Xue, group healings, learning Yuan Gong and Yuan Gong practice. A detailed program will be supplied at the retreat. If you arrive in Fresno by plane into the Fresno-Yosemite Airport, the Amtrak train station or by Greyhound bus into the Greyhound Station, you can arrange for the Wonder Valley Shuttle to pick you up. Email the front desk at Wonder Valley frontdesk@wondervalley.com to arrange for shuttle pickup, or call Wonder Valley’s front desk at (800) 821-2801. The Wonder Valley Ranch shuttles run from 7am-7pm. The cost for the shuttle service is $85 round trip or $55 one way. In order to ensure availability, all reservations must be made one week from your arrival or departure date. If you arrive outside of the shuttle hours, you can also contact an Uber to bring you to the resort. For arrivals on March 30 or April 3: You can stay at the Quality Inn Fresno Airport in Fresno. Tell them you were referred by Wonder Valley to receive a special government rate of $90.25 plus tax per night. Please call them directly at (559) 375-7720. All meals will be provided, including afternoon tea. Simple, nourishing food will be served buffet style. The food will be mostly vegetarian with meat or fish options available daily. Gluten-free, dairy-free, and vegan options will be available. Community refrigerators are available for participants who require one for supplements or special food items. Please note: if you have any other critical food allergies, please email Chris with that information at retreat@renxueamericas.org to let us know.